Check out this blog for a background into the Titanic story! Fantastic read! Having made four dives to the Titanic, and seeing shoes and other passenger items on the bottom, I have always wondered where they were from. This answers part of the question. That most be a truly amazing experience- we are delighted that you like the chart! My grandfather had a ticket for the Titanic sent to him from his brother in the States. The story goes that he boarded the Titanic (possibly), at Cobh and sensed that something was going to happen to the ship and he got off. He tried to persuade the chap with him to get off too, but he was laughed at. He got off and survived. It certainly is true that he had a ticket and went to board the ship at Cobh. Is there anywhere, a website, where we could find out about the facts, his ticket etc? What was your grandfather’s name? 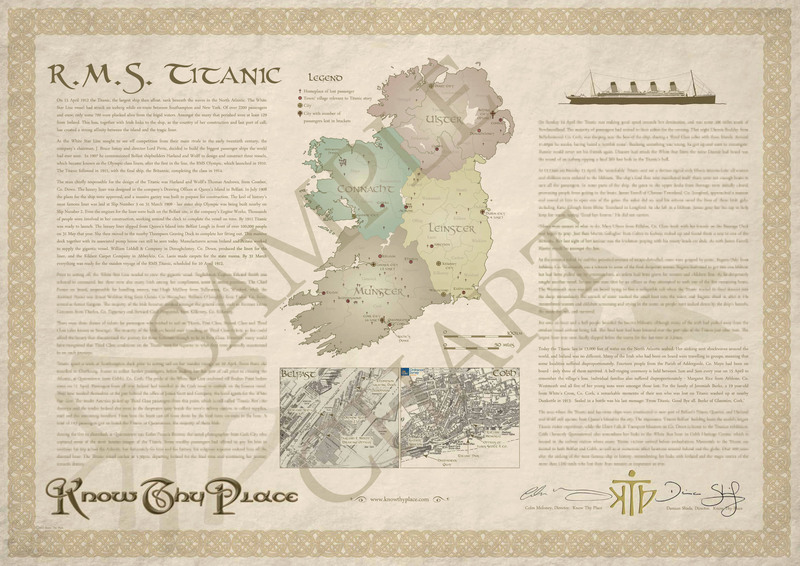 There is a very good website at http://www.encyclopedia-titanica.org/ but also it might be worth contacting Senan Molony who wrote the Irish on the Titanic, as he is a mine of all things Titanic related in Ireland!